The RV6® V3 long tube Jpipe replaces the highly restrictive OE Jpipe and 3rd catalytic converter. It features an equal length long tube design which maximizes low and mid-range gains. This is first long tube Jpipe on the market. Often imitated, but never duplicated. Over 10 revisions were made to the initial prototype in order to equalize runner length and most importantly maximize ground clearance. Hours of dyno time were spent testing everything from tubing sizes, to length in order to tune this Jpipe for maximum useable gains. By tucking one tube behind the other, we were able maximize runner length and maintain ground clearance. Also by completely removing the 3rd catalytic converter we were able further increase runner length allowing optimized exhaust gas scavenging and extracting the most low and mid-range gains. 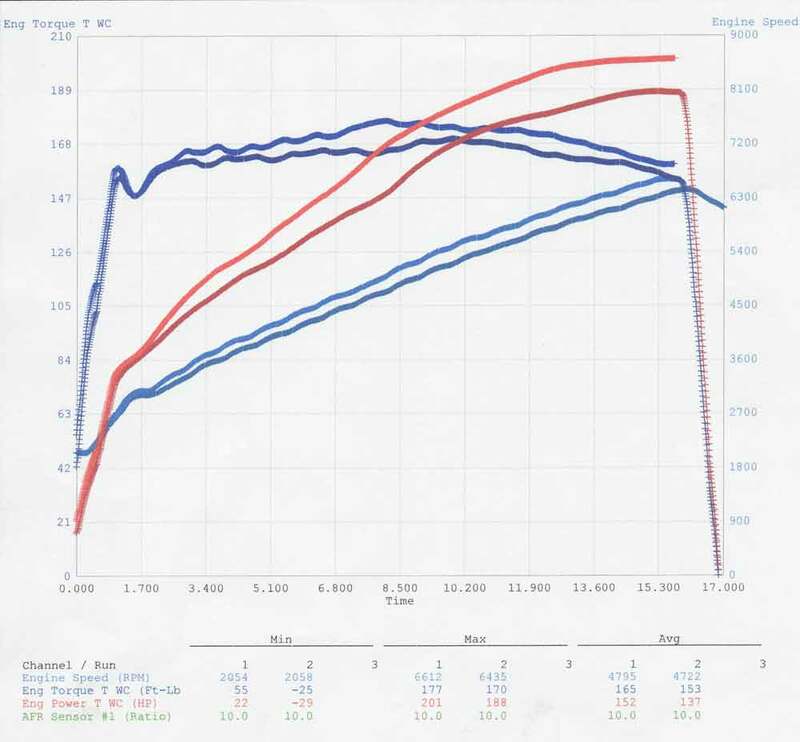 Dyno tests were performed on an unmodified 05 automatic base TL with 55k miles using a AWD Mustang dyno. We choose this vehicle because it is most common among the community. Higher gains are to be expected with the manual base and TL-S.